Snapchat, the popular Photo sharing App for iOS devices, has release a update which allows kids under 13 years of age to access the App. Previously the App present the users with a registration form and kids under 13 years were barred from using the App. However as per its blog post, Snapchat says that the policy of not allowing under 13 children did not work out as it had intended. Now with the update a child under under the age of 13 will have to fill out the registration form, but the child's information won’t be sent to Snapchat nor a account created. Instead they will be lead to a zone called “Snapkidz” where they can take pictures, add captions, drawing and save them onto the device and this the farthest they can get. The children wont be allowed to send or receive images or add friends. "We’re also trying out something new in this release. As you may know, Snapchat is for teens and adults— children under the age of 13 are not allowed to create accounts. The previous iOS update introduced age-gating, in which we asked people their age on the registration screen and didn’t allow them to proceed if the age entered was under 13. This was a pretty standard way of handling things, but it didn’t provide a very good experience. So now, in addition to age-gating, we’ve decided to try something a little different." So the Snapchat has done two things with this update, addressed your concerns regarding your child's safety and privacy and also given them a chance to enhance their creativity by trying out different things with Snapchat. 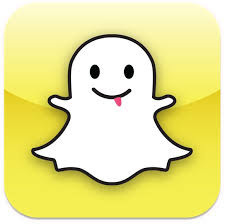 If you think its worthwhile for your child to experience the Snapchat, download it for iOS from Apple Store here.